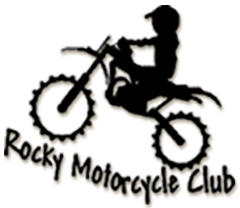 *ALL CLUB MEMBERS* – Our next club meeting will be held on Tuesday, July 3, 2018 at 7:00 pm at the Walking Eagle Inn. Please join us! The track will be closed for riding due to weather and grooming until the event day Sunday, June 17, and reopen to members on Monday, June 18. Keep updated via Facebook and our website.